The extra surface contact area means your bike remains in a secure upright position even when fully loaded, whatever surface it’s on. As you may know from bitter experience, even the smallest fall off the sidestand can cause expensive and inconvenient damage to your motorcycle. 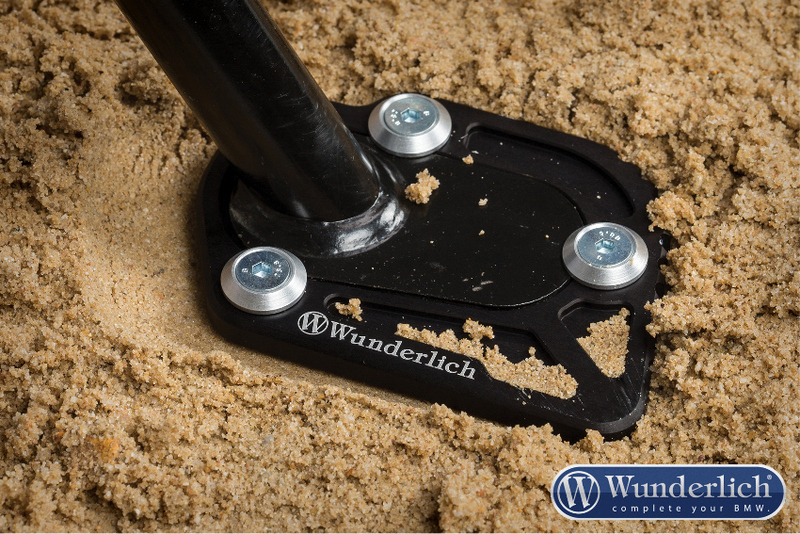 Wunderlich Essential Products for your BMW: Integrated Design, Clever Functionality, Premium Quality and Made in Germany. You can see all the Wunderlich products available for most BMW models in the Procycles Webstore. Open 24/7 so you can shop now. next post: The All-New BMW R1250 GS Is Now at Procycles and You Can Ride It.